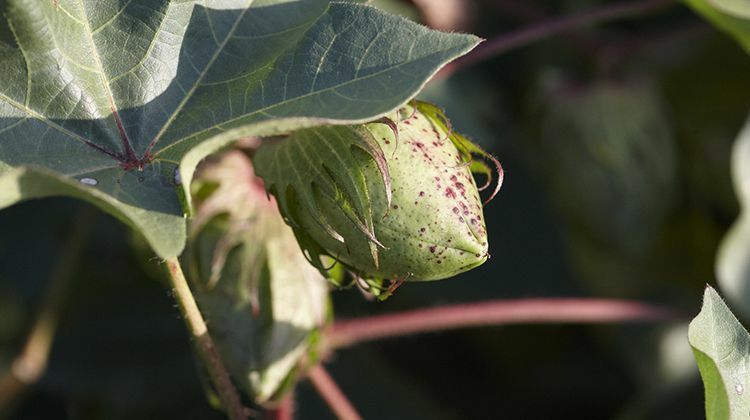 Growers continue reporting new PhytoGen® brand varieties with WideStrike® 3 Insect Protection and the Enlist™ cotton trait provide improved control of yield-robbing pests and diseases while delivering the early season vigor and boll load they’ve come to expect from PhytoGen. Young started growing cotton in southeast Alabama and southwest Georgia a little more than five years ago. For two years, PhytoGen brand varieties with WideStrike 3 Insect Protection and the Enlist™ cotton trait (W3FE) have helped Young work more efficiently while protecting the yield and quality he expects from PhytoGen. Exclusive to PhytoGen, the Enlist cotton trait provides tolerance to Enlist Duo® herbicide — a combination of new 2,4-D choline and glyphosate — as well as glufosinate, to help eliminate tough-to-control and resistant weeds. “The Enlist technology is a better choice for us. It provides effective weed control and has worked very well,” Young says. In North Carolina, Gene West, of Corner Cotton Gin and G&R Farms in Newton Grove says he grows PhytoGen brand varieties because of consistent high-quality fiber. West increased his acres of W3FE varieties the first chance he had after initially trying PhytoGen brand PHY 490 W3FE. West says PHY 490 W3FE had strong seedling vigor and puts on an excellent boll load. But he’s most excited about the trait package on the new variety. “WideStrike 3 seems to control the bollworm pressure better. And with the Enlist weed control system, we will have something to help control these resistant pigweeds,” West says.